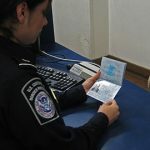 The State Department announced in a Federal Business Opportunities notice posted Tuesday that it will award a $434.2 million contract to Northrop Grumman (NYSE: NOC) for updates on a platform that works to process visas, passports and emergency services to U.S. nationals based abroad. Northrop will support the ConsularOne program by providing requisite services and technologies under the Consular Systems Modernization contract. The award requires Northrop to provide a “user-friendly” website to facilitate a self-service approach, a paperless workflow, a common look and feel to all functions, operational scalability and integrated information. The State Department issued a bid solicitation for the program in May 2017 for work potentially worth $850 million over a 10-year period. ConsularOne is a program under the State Department’s Bureau of Consular Affairs, which seeks to adopt a standard technology model to facilitate data access for its staff and enhance the delivery of consular services for U.S. citizens.